After the split, it appears that in Ilkeston the ‘Old Wesleyans’ were a very small group (of about three members?) who initially met in their Superintendent’s house in Pimlico, adjoining the Independent Chapel in the early 1850’s. In 1850 that Superintendent minister was the Rev. Alexander Hume. And one of the small group was Charles Woolliscroft, native of Abbots Bromley, Staffordshire and draper of Bath Street. Another was Eastwood-born John Steer, carpenter of Bath Street. This impoverished group had to ‘import’ preachers from the Nottingham circuit, as well as from Ripley and even Belper. When the Old Wesleyans found the upkeep of the South Street Chapel too heavy for them, they built a small chapel on the west side of Market Street, and the United Methodist Free Church took over South Street Chapel. Adeline is writing here about events in the mid-1850’s but again, this description of ‘musical chapels’ is condensed. The Old Wesleyans did eventually leave the South Street Chapel, though for a few years they were a small group, looking for a new chapel home. Only in 1855 did they secure a piece of land in Market Street and the foundation stone of a new chapel was laid on July 12th of that year, after which there was an afternoon tea followed by a public meeting held in a large marquee erected in a field belonging to Matthew Hobson. 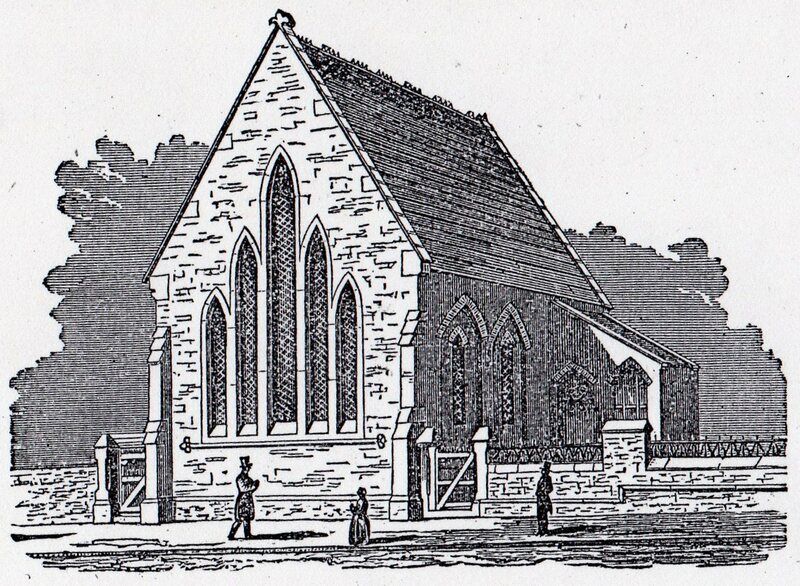 Market Street Methodist Church c1857 (courtesy of Ilkeston Reference Library). Once built — and standing opposite Extension Street — the chapel was described in White‘s Directory as ’a neat Gothic building’ costing £500, with sittings for about 250 persons. The same directory refers to the Wesleyan Reformers for the first time, occupying the South Street Chapel; there is no mention of the United Methodist Free Churches. 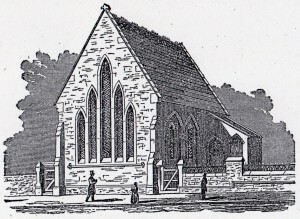 At the end of July 1866 a new gallery at the chapel was opened.